"Being a member of the Hermitage Friends’ Club is an honor for me, that degree of respect that always has to be upheld. I do not know how far I succeed in that... The Hermitage is the main place in St. Petersburg, what keeps me here in this complicated city. And the Friends’ Club is an important part of my personal life. " "To be among the Friends of the Hermitage is a great honor for me, actually undeserved, except for maybe my kinship with this great museum. My grandmother worked all her life as a restorer at the Hermitage. Everything that happened in the Hermitage was lived through at home. My father grew up in the Hermitage, and then he took me and my sister there, now he brings to the museum his granddaughters. In recent years, the State Hermitage Museum and the Fund Supporting Children with Epidermolysis Bullosa, whose trustee I am, have developed a very valuable cooperation, and the Fund is very proud of it. For me, it is a great happiness and responsibility to be a Friend of this unique museum. I hope to be at least somehow helpful." "The Hermitage Museum, as well as the Mariinsky Theater, is one of the symbols of St. Petersburg. It is a place where the memory of the past is combined with the openness of the present. It is a custodian of the nation’s history and art. As a Petersburger I share a lot of memories of my growing up with the Hermitage. In my childhood, together with my parents, we would wander around the halls of the museum, where I enthusiastically discovered new epochs and names. Then, as a student of the Vaganova Academy of Russian Ballet, I used to come here to explore the ancient Greek sculpture – to inspire and learn from the beauty frozen in motion. I also keep special memories about the Hermitage Theater – a sacred place for any student of the Academy. Here we held our first big concerts and graduation performances. It had always been moments of truth, excitement, awe and expectation. And now I have become a Friend of the Hermitage. For me, this is a special pride, a great honor and responsibility." Generous support provided for the museum by its Friends across the world makes a significant contribution to the preservation and development of the State Hermitage. The projects they are engaged in are carried out within the framework of the special international programme entitled the Hermitage Friends’ Club. A large number of well-known international and Russian companies, charity foundations and private individuals have already joined the Club. By becoming members of the Hermitage Friends’ Club they play an important role in the museum’s life and help to preserve its treasures for generations to come. 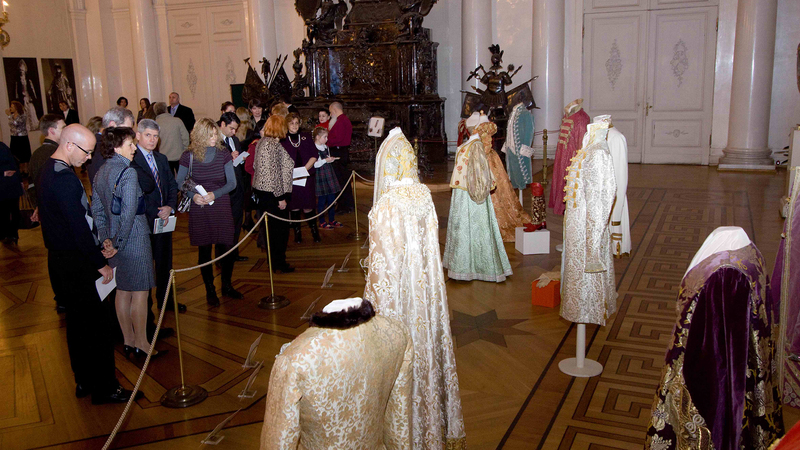 Founded in November 1996, the Hermitage Friends’ Club became the first society of the Friends of the museum in Russia. Since then to be a friend of the Hermitage has become a well-entrenched tradition. Today the Hermitage Friends’ Club is considered to be the longest lasting among the other Russian societies of the Friends of the museums. The information about the programmes implemented with the Friends’ support is regularly published in the Annual Report of the State Hermitage Museum. During this period the Club’s regular corporate members have provided a solid base of financial assistance, while the contributions of private individuals have made it possible to complete numerous museum projects. Over the years, the Hermitage Friends’ Club programme has funded many projects, including restoration of museum exhibits and museum halls, implementation of research and educational programmes, improvement of visitor access to the museum, as well as the purchase of new exhibits. Upon joining the Club or renewing their membership after one year, Friends are free to choose projects based upon their preferences. As time goes by, this programme continues to generate enormous interest; the number of the museum’s Friends in St. Petersburg steadily increases from year to year. We are extremely proud that most of the companies and private individuals who joined the Friends’ Club have remained Friends to this date. All of this gives us confidence in our bright common future. The State Hermitage invites all those interested to participate in the special international Hermitage Friends’ Club programme!